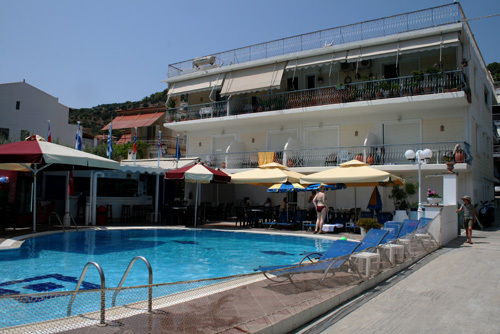 Alexandros Apartments are situated in the beautiful area of Askeli, only 150 meters from the magnificent Askeli Beach. This makes it a perfect choice for your staying on Poros. They made a complete renovation in spring 2016, so everything is fresh and nice. The apartments is situated in a quiet area, with no traffic passing through. Only local traffic may occur. Close to the apartments you find local tavernas and supermarkets. You can also rent a motorbike for your own private exploration of the island. If you want to ask something, or book a room, please e-mail us for actual prises and we will get back to you as soon as we can.